It’s always an education to read in unusual locations. The organizers of FILBA appear to be steering me towards a socially engaged role that I am not normally associated with back in the UK. But that’s fine with me. 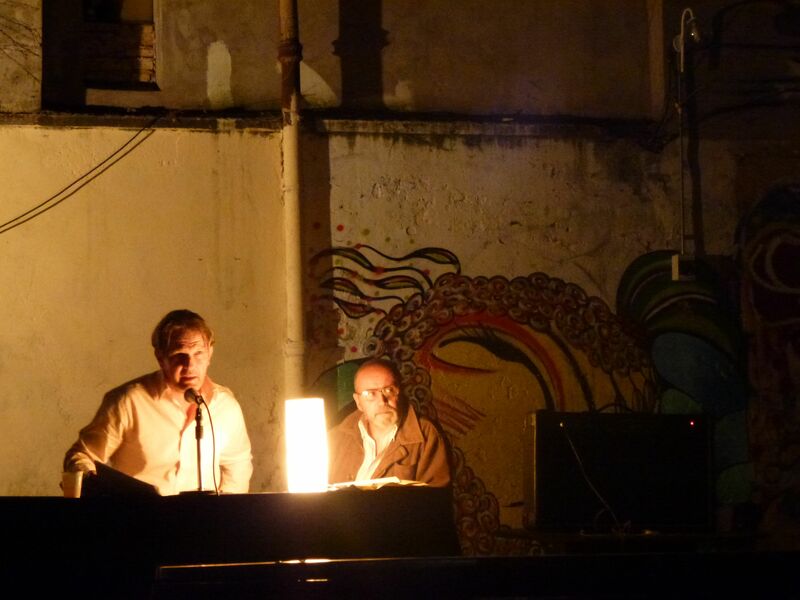 The reading last night took place in a cobbled courtyard next to a rehabilitation centre for women recently released from jail, and behind an abandoned market, a steel-girdered hangar that resembles a nineteenth century railway station. 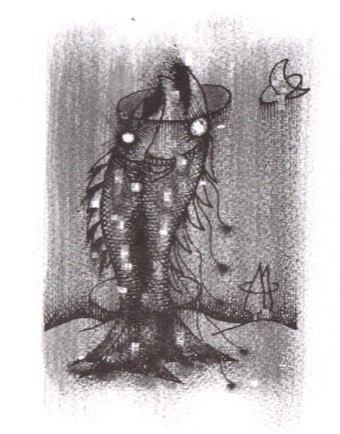 Outside, the place was covered in graffiti and creeping vines, and in the darkness a wind began to stir, causing a few paper cups to scuttle across the cobbles like the rats that you knew were there, but were sitting out the poetry reading in a nearby drain. The perennial smell of the Buenos Aires night – barbecued meat, with an overlay of almonds – wafted by, and an engaged and enthusiastic audience sat alongside the vendors of bags, table-cloths and other artefacts made by the women prisoners. 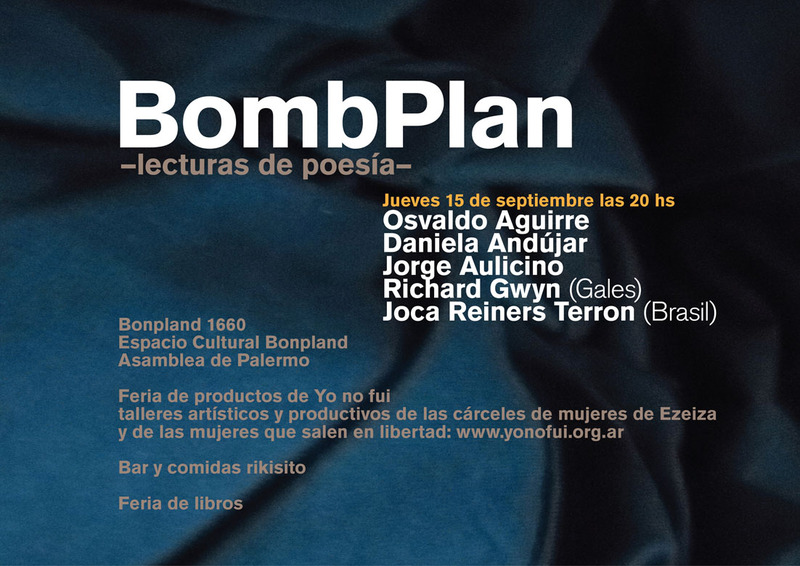 I am posting a poem that I read last night, as well as at the Club de Traductores on Monday, because it seems to be popular here – probably due to the excellence of the translation – but which I don’t think I have ever performed back home. My Spanish reader on this occasion was the poet and journalist Jorge Aulicino. Strange how on a reading tour there is usually one piece that gets more attention than the others, for no particular reason. It is followed by the Spanish translation by Jorge Fondebrider, since Blanco’s blog has acquired an encouraging following in Argentina and Spain, perhaps because they think I am someone I am not. shaded by hydrangeas and a vast magnolia. the memory might well have been a false one. in a drama with no plot, no foreseeable conclusion. sombreado por hortensias y una vasta magnolia. el recuerdo bien podría haber sido falso. en un drama sin argumento, sin previsible conclusión. En cualquier caso, yo le leo porque me interesa lo que escribe, especialmente lo que escribe sobre traducción. La traducción de Fondebrider me encanta, por cierto.